Who would have thought that an ex-student of the Universiti Sains Islam Malaysia (USIM), who did law and sharia, would jump into the health shoe business? According to Nur Diana Dazulkiply who hailed from Muar, Johor, this eldest of four siblings did fulfil her ambition of becoming a lawyer after completing her studies at USIM. Follow the interview with this alumnus of the Faculty of Syariah and Law for a further discourse. Q1 What inspires Diana to move into business? After serving for a year as a sharia lawyer, I found that I did not enjoy it much. The schedule was very packed and there were various problems, which made me think I had to switch careers. So that got me thinking about the things I could do. Since my father is in business and I’ve been exposed to the trade, I expressed the desire to venture into business. Another factor that attracts me to business is the yearning to develop the economy of the ummah and at the same time share my fortune with my partners. Alhamdulillah, I am satisfied that the product is well received and benefits many people both economically and medically. Q2 Where does the idea of producing health shoes come from? I came up with the idea after several customers suggested that I should produce special health shoes for nurses. Furthermore, after realising that many consumers have spine, heel and knee problems but no suitable shoes for their daily activities, I realised that producing health shoes is a good idea. As the health shoes is a new product to the world market and are quite costly, I want to produce affordable health shoes. Hence, I chose the name MEDSHOE to clearly indicate my product as the name ‘Medshoe’ is an abbreviation of ‘Medical Shoes’. Q3 Do describe how you started your business. One should have the basic business knowledge. We took the trial and error approach. Alhamdulillah, year in year out our business has started to grow. In the manufacturing of the shoes, we really learn from the best in the world. I looked for the materials and manufacturer in China until I finally found an entrepreneur who has now become my business partner over there. I am very fussy in choosing the materials as nurses’ shoes should be durable, pain-free when worn for a long time, soft and well ventilated. All these properties are essential so that the produced shoes will be sought after. Alhamdulillah, the Medshoe shoes are getting accepted and entering the hospital and clinic market. The shoes are also designed to fulfil the need and comfort of hajj and umrah pilgrims as well as those who love to go on a holiday overseas. And for the individuals who are in the medical and education sectors, Medshoe offers the comfortableness of standing for a long time. This is because the shoes are designed to fully support the spine, making them very durable and painless to wear for a long period. As I myself had the bad experience of wearing unsuitable shoes, causing pain to the legs and worsening back pain, I designed the shoes to be comfortable. This is despite the shoes being only one to two inches thick as they use Poron and microfiber materials for all shoes from the United States, making the inside of the shoes very soft and comfortable. Q4 What challenges have you faced considering your field of study is different from your current career? There were too many obstacles that are difficult for me to explain here, but the experience is really my teacher. I confess that I had no prior experience in shoe design, and to be where I am today, I had to work hard doing research, reading and consulting those who are more experienced. Quite some of the knowledge learned during my university days was used in doing business. More importantly, I have to always be more creative and up-to-date. I have to constantly improve my marketing skills to stay consistent in doing my business. I also have the dream of taking the brand to the international market, comparable with the current brands. As a Muslim, if do not start it, who will? So even when I am facing various challenges especially capital constraint, I will soldier on. This is because the shoe market is very big and not many Bumiputeras are willing to jump into this field, unlike the Muslimah wear which is the go-to choice for new entrepreneurs nowadays. Perhaps it is the high cost or maybe the painstaking effort to find quality materials that make this field pretty tricky. But quality shoes provide a guarantee to the wearer that their feet would not be painful nor uncomfortable when sporting them. Q5 What is your hope and advice to undergraduates as something to hold on to when going through the real world? Nothing is impossible in this life. Life is also a lesson. 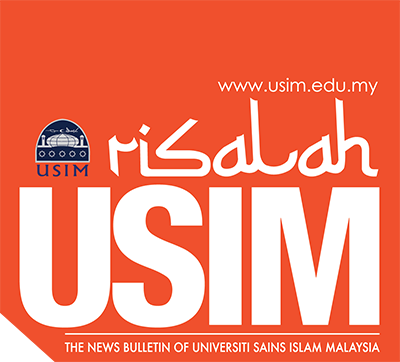 For those who are still studying in USIM, I hope you have a high ambition and are not afraid of making mistakes as there is always a lesson to be learned. We should always make and create something that is different from others and think outside the box to move forward. If Muslims don’t help the ummah, who will? Thus, don’t limit your potential to do some remarkable thing for your faith, nation and country. Above all, your identity must be strong!! As the identity will discipline ourselves in whatever we do in our life. All the best to all.